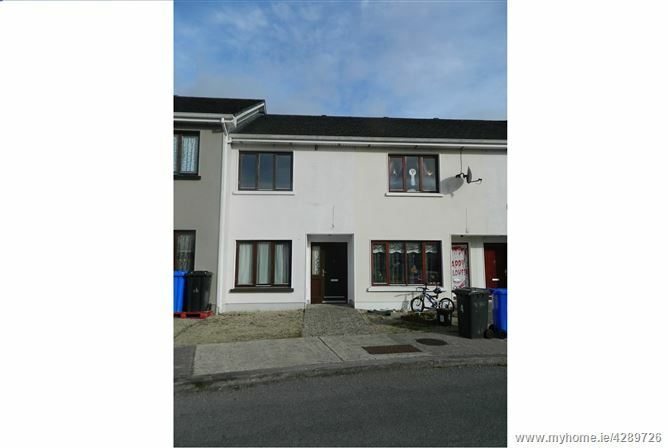 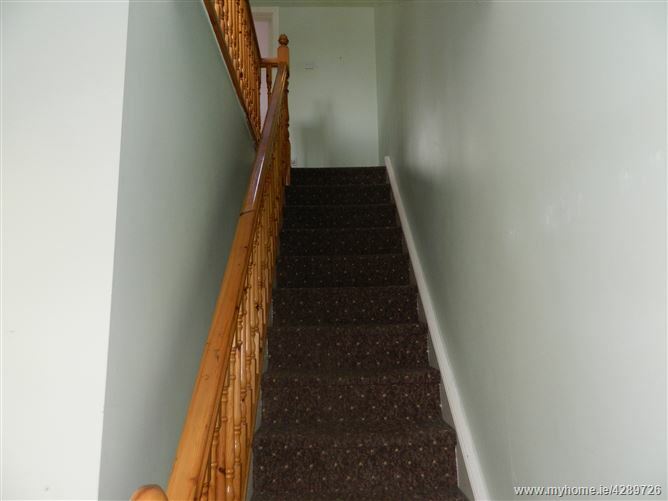 Mid Terrace 2 bedroom house in a popular residential area for both investors and owner occupiers. 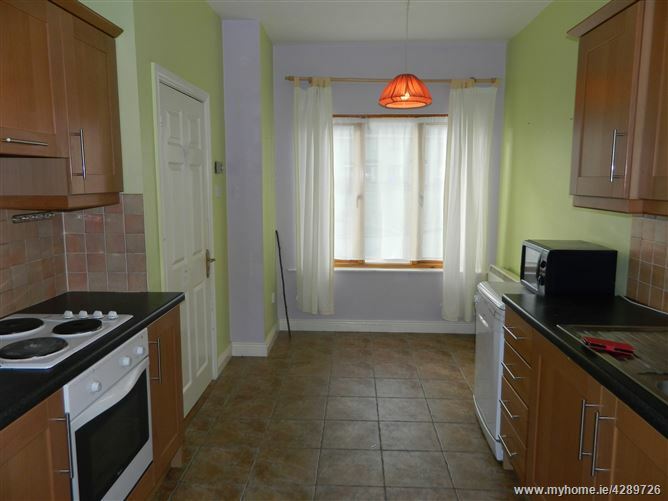 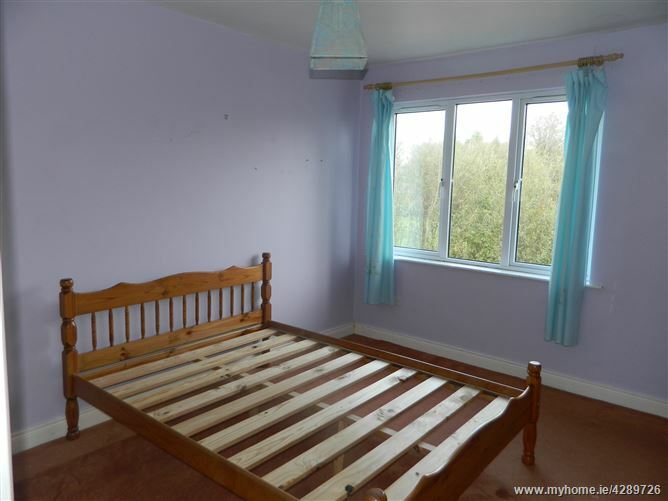 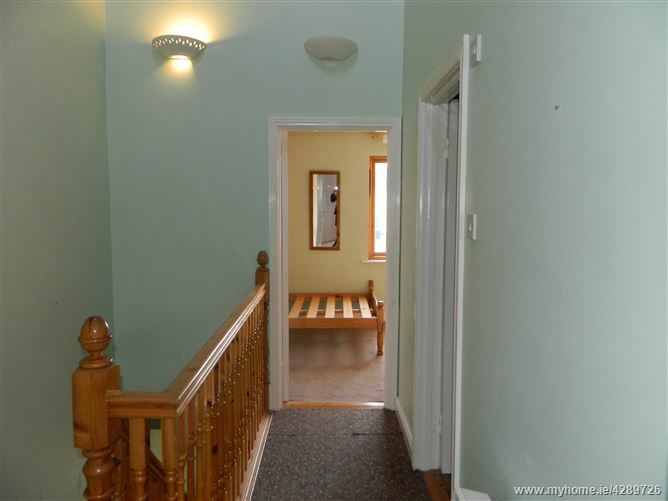 Within walking distance of the schools, shops and local amenities this house is worth viewing. 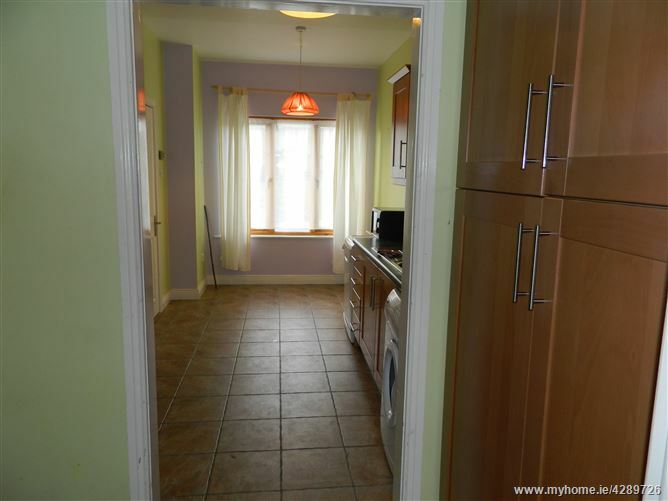 The house offers good living accommodation with eat in kitchen and well proportioned bedrooms. 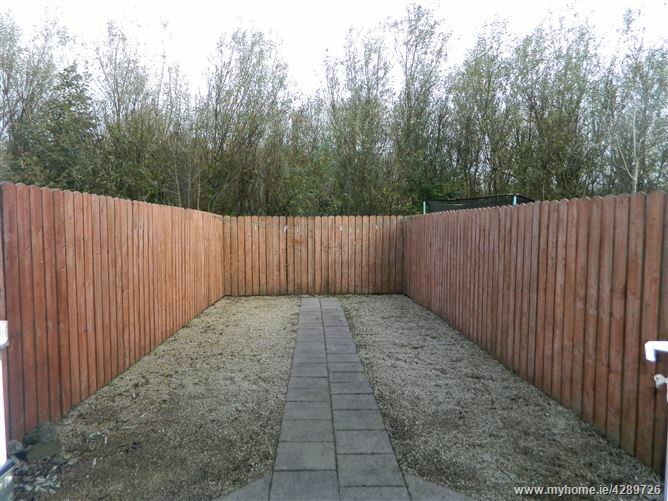 The house overlooks the communal green area and has a private enclosed garden to rear of house. 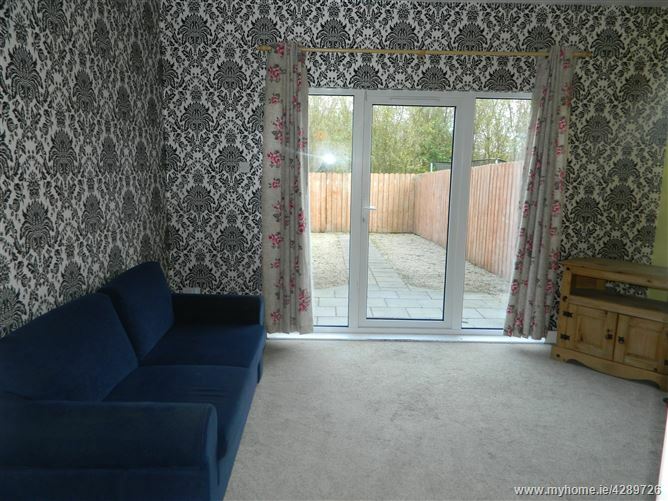 House is been sold as seen. 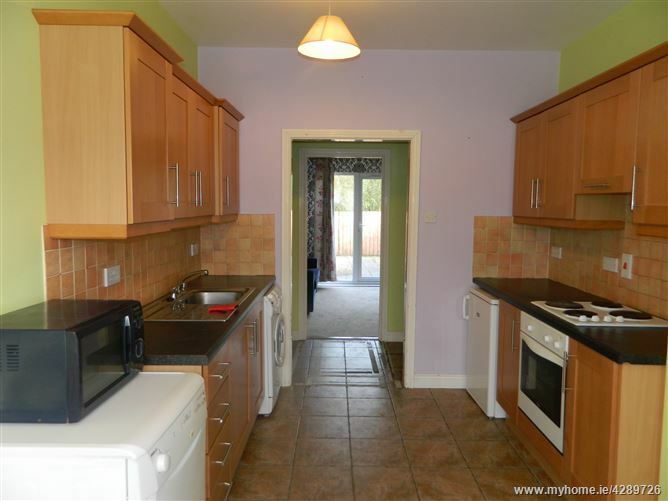 Fitted Units to kitchen with oven/hob, washing machine, tumble drier, microwave, tiled flooring throughout, electric storage heater, window to front elevation, tiled splash back, window to front elevation overlooking communal garden. 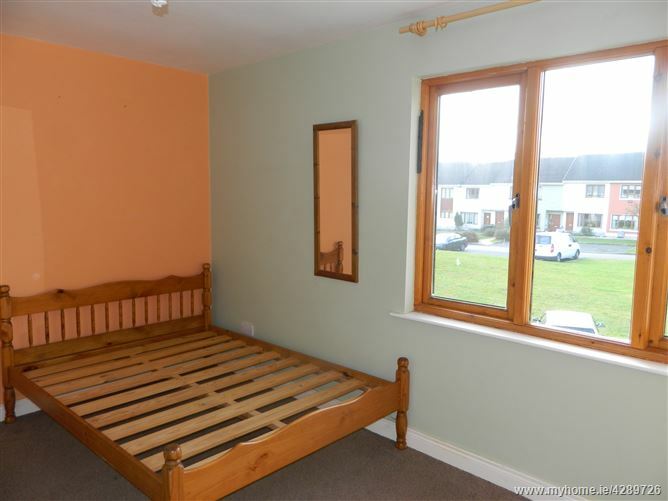 Hotpress with built in shelving, tiled flooring. 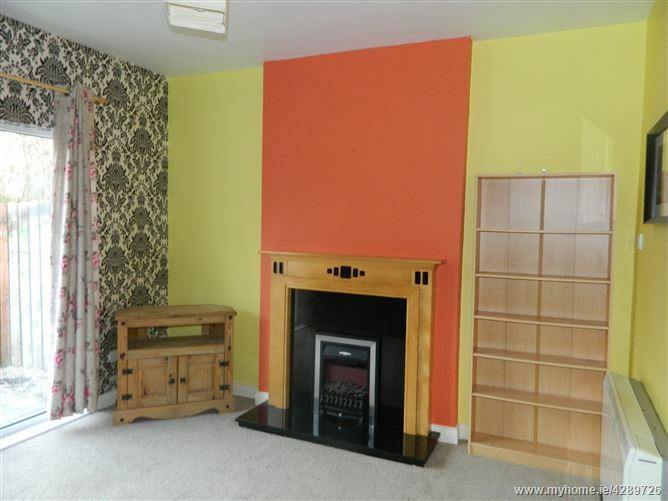 Carpets throughout with wooden surround electric fireplace and marble insert, electric storage heater, patio doors to garden at rear. 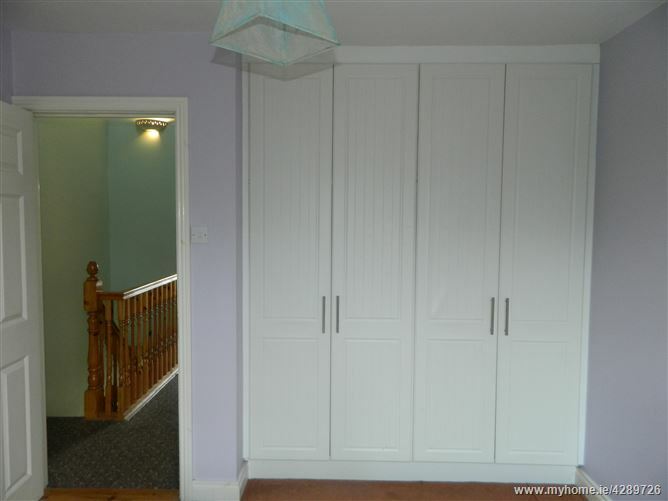 Carpets throughout with excellent fitted wardrobes, electric storage heater, window to rear elevation. 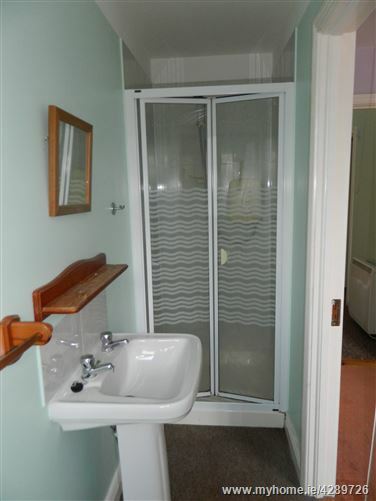 Carpets to flooring, shower unit with electric shower, extractor fan, WC, w.h.b, Mirror. 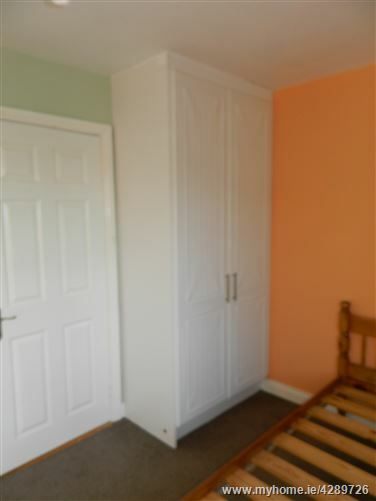 Carpets to flooring with very good built in wardrobes, electric storage heater, window to front elevation. 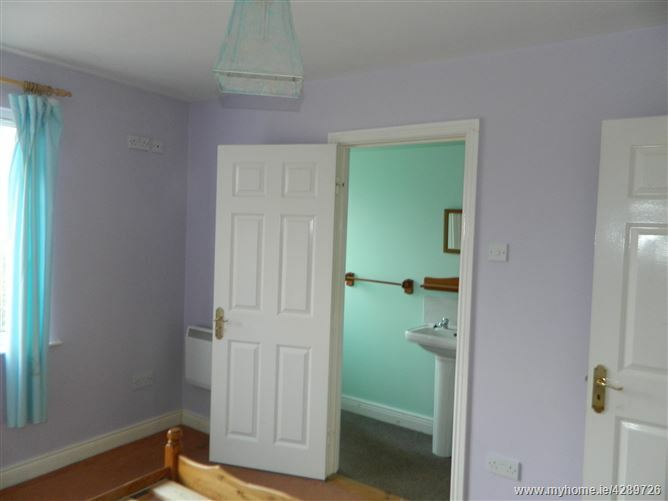 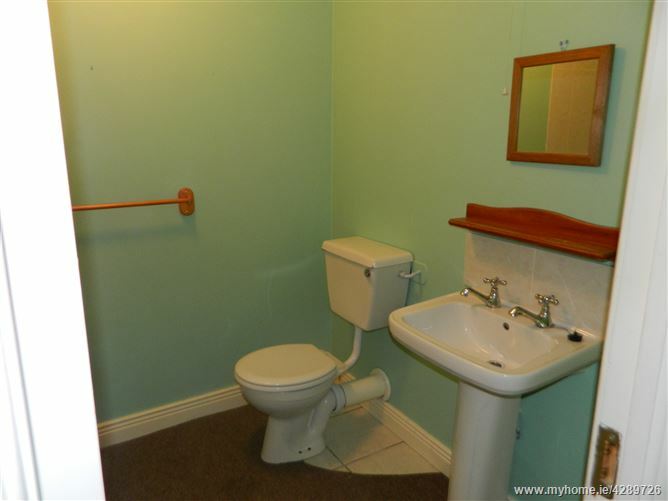 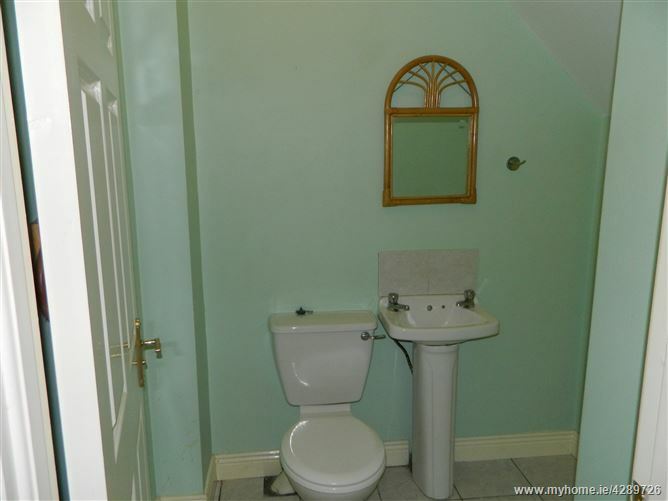 Carpets to flooring, tiled walls over fitted bath, wc, w.h.b, mirror, extractor fan. 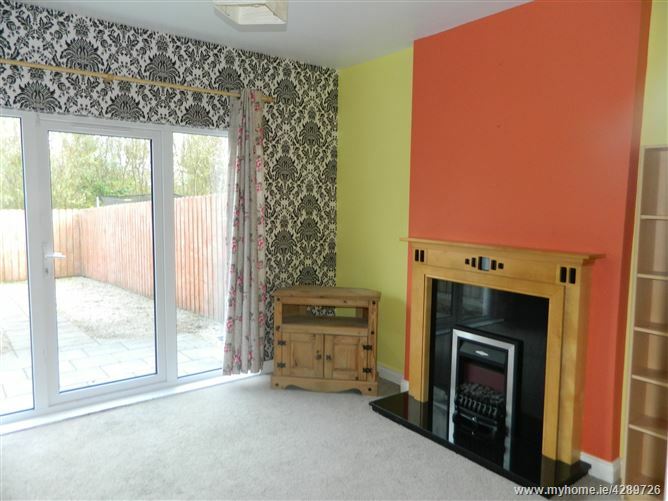 Velux window to ceiling, carpets to floors.